Hey guys, I did a couple urbexes back in my home town of Philly, but i just moved into college today. Im in Ohio, in a town called steubenville, right outside of pittsburgh. Good ol' coal and iron country. If theres any explorers round here up for a group outing, it'd be nice to see some locations. Thanks guy. I just came from that area... 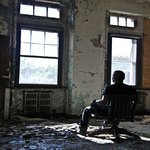 I recommend checking out the abandonments in Jeannette. This page was generated for you in 93 milliseconds. Since June 23, 2002, a total of 574078548 pages have been generated.